Although a State’s treatment of foreign investors has long been regulated by international law, it is only recently that international investment law has emerged as an independent discipline in its own right. In recent decades the practical success of investment arbitration has allowed international investment law to develop both its own cadre of academic and professional specialists and its own legal doctrines. 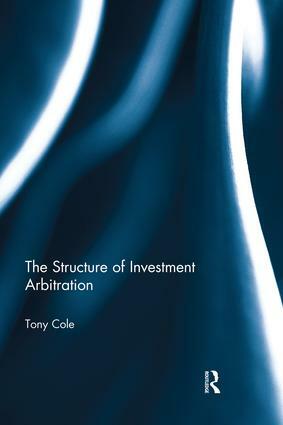 This book analyses the structure of international investment law, as it has developed through the practice of investment arbitration in order to see how a variety of international investment law doctrines should be understood and applied. The book demonstrates how a structural analysis can shed light on several major controversies within investment law and also examines what an "investment" actually is. The book offers an original interpretative approach to the resolution of problems in international investment law, and so is one of the few books within the field to attempt to give investment law a solid theoretical basis. It also focuses on only a select number of problems, rather than attempting to deliver the universal coverage currently popular for investment law books. As a result, those issues that are addressed get a detailed discussion rarely available in competing texts.